Remington Arms Company, also plainly known as Remington (and colloquially known as “Big Green”), is currently celebrating its bicentennial. For 200 years, it has been engineering and manufacturing quality firearms, and it has a long and proud tradition of excellence. 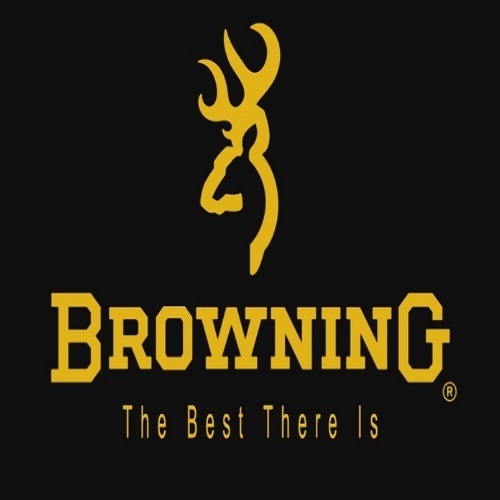 Its line of products includes rifles, shotguns, handguns, ammunition, and accessories. Remington’s guns are distributed in over 60 countries, and they are chambered for many different cartridges, some of which are Remington’s own invention. This is what makes this company one of the most accessible and widely-used firearms manufacturers in the world – one worthy of our attention in this Remington Arms and Rifles Overview and Review 2017. The company was founded in the state of New York by Eliphalet Remington, in the year 1816. 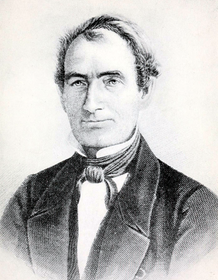 Eliphalet was the son of a blacksmith who was looking to expand the family business. Gunsmithing, and in particular barrel making, was the direction in which Remington Sr. was going, and after learning the craft, Eliphalet could be seen producing barrels in his father’s forge. In the fall of 1816, Eliphalet entered a shooting competition. He came in second, using a rifle of his own invention, and in the process had managed to make an impression on his fellow competitors. That day, Eliphalet officially entered the gunsmithing business. He received orders from those who were at the field that day, and the legendary Remington company was born. In 1839, the oldest son of Eliphalet joined the company, and in 1845 his second son joined, changing the company name to E. Remington & Sons. Later on, a third son also joined. 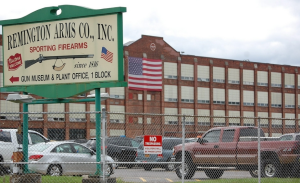 Later on, in 1888, the company was reorganized and renamed Remington Arms Company. In 1912, the company was renamed Remington U.M.C after being combined with the Union Metallic Cartridge company. Corporate Headquarters – Madison, NC. Firearms Plant & Custom Shop – Ilion, NY. Firearms Plant – Mayfield, KY.
Firearms Plant – Huntsville, AL. Ammunitions & Components Plant – Lonoke, AR. Technical Center – Elizabethtown, KY.
Fun fact! – E. Remington & Sons also manufactured the first commercial typewriter in 1873. The company is also widely-known for its chainsaws. Below is a look at the long line of firearms which Remington currently produces. Note that many models, which are not mentioned here, have been discontinued. It is, after all, a 200-year-old company, and its back-catalog is vast. I haven’t shot all of these guns, of course, so I cannot review them all as I would like to. I’ll be pointing out their vital features, but you will have to see which ones take your fancy. I urge you to do your own hands-on research, and see which Remington you would like to own depending on your wants and needs. One thing is clear – Remingtons are great firearms, however you look at it. Whether for sports, plinking, outdoors/hunting, or self-defense/home-defense purposes, these firearms will be able to provide you with security and confidence, and help you achieve some of the most rewarding shooting experiences that there are. Once you hold a special gun like a Model 700 in your hands, you just know it. Whether you are aware of it or not, your mind is thinking: ”damn, this is one hell of a rifle”. 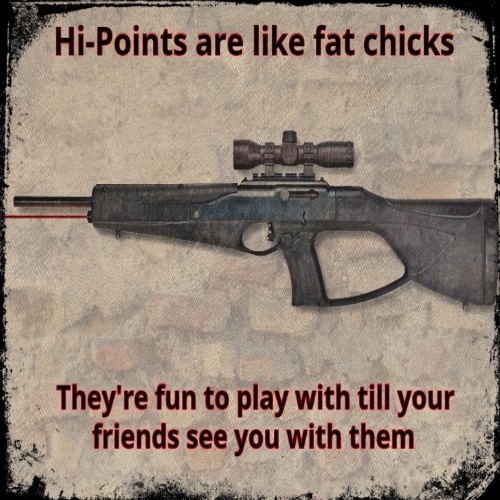 After you actually shoot it, well… let’s just say your Remington will be here to stay. Remington engineers and builders are highly skilled at what they do, and all products are 100% made in the U.S.A. Like their website says: the story of Remington is the story of America. A wide variety of models, styles, and configurations is available for folks who are interested in Remington rifles. This is how it all began for E. Remington & Sons, back in 1816. Model 700 – The Model 700 series has been produced since the early 60’s, and is still being manufactured today. It comes in a civilian, police, and military version, as well as many other variants. Model Seven – Based on the Model 700, it is a civilian hunting rifle chambered in .223 Remington (or variations of the .223). It is shorter than the 700, and does well in close quarters and long-range encounters alike. Model 783 – Another hunting rifle based on the legendary 700. Remington’s team took the best elements from target rifles, and implemented them into the 783’s design for maximum precision. It is a rifle for the 21th century. Model 7600 – This rifle was introduced in 1981, to replace the Model 760. It is available in several configurations. There are four cartridges, two barrel lengths, and different furniture options to choose from. Model R-15 – This rifle features AR-15 style controls. It is a rifle intended for varmint and predator hunting, and has several barrels lengths, finishes, and configurations up for grabs. Model R-25 Gll – This model is designed for larger game. The receivers are 7075 aluminum coated with Teflon, and it comes equipped with a recoil pad and a quality pistol grip. Chambered for the powerful 7.62mm cartridge, it is a force to be reckoned with. Model 700 Ultimate – Built around the Model 700’s action, this is one of the most efficient muzzleloaders around. It features a new and improved ignition system, as well as a pre-tapped 26-inch barrel, for ultimate accuracy. Muzzleloading has become so popular that some states have muzzleloading-only hunting seasons. Model 597 – Designed in 1997, the 597 is a semi-automatic rifle chambered in .22 Long Rifle or .22 WMR. It which features a 10- or 8-round magazine, respectively. There was another version chambered in .17 HMR, which was discontinued due to safety issues. Model 552 BDL Speedmaster – This autoloading rifle has the ability to fire .22 Short, .22 Long, and .22 Long Rifle cartridges. It has been produced (in one version or another) since 1957, and it is now available in an upgraded BDL form. Model 572 BDL Fieldmaster – This pump-action rimfire rifle is also capable of shooting several .22 cartridges, like the 552. It has also been produced since the mid-50’s, but has a slide-action operation. All across the U.S., Remington shotguns can be seen in action. From the woods, lakes, and fields to the streets and urban centers of America, Remington shotguns have proven themselves in every way. Model 1100 – This semi-automatic, gas-operated shotgun is available in a wide range of gauges: 12-gauge, 16-gauge, 20-gauge, 28-gauge, and .410 bore. The 1100 has been produced since 1963. Model 11-87 – First produced in 1987, the 1187 is a semi-automatic shotgun based on the Model 1100. Comes in 12-gauge and 20-gauge cartridges, and supports 2¾-inch and 3-inch shells. V3 Field Sport – The V3 12-gauge is unlike anything previously manufactured by Remington, and in some ways it is unlike any other shotgun, period. It has a two-piston-system, is highly reliable, and can cycle 2¾-inch to 3-inch shells. Versa Max – Introduced in 2010, this is a shotgun which comes in numerous configurations and styles. Whether it is for hunting, competing, The Versa Max was named Shotgun of the Year by American Rifleman. Supports 2¾-inch, 3-inch, and 3½-inch loads. Model 870 – The 870 has been produced since the early 1950’s. Over 11 million units of the Model 870 have been sold, and with good reason. Available in 12-gauge, 16-gauge, 20-gauge, 28-gauge, and .410 bore, it is one of America’s most popular pump-action shotguns. It’s the smooth operator. Much like Remington’s rifles and shotguns, their handguns are reliable and known for their solid build. Whether it is for self-defense or home-defense, these will get the job done. Remington re-entered the handgun market after an 85 year hiatus, with the launch of the Model 1911 R1. Model 1911 R1 – A semi-automatic pistol available since 2010, the R1 is chambered in .45 ACP. It is a single-action gun, with a 7+1 round magazine capacity. Model 1911 R1 Enhanced – This version of the R1 has an enhanced, +1 round count, larger hammer, and wider thumb safety, plus a fiber-optic front sight. Model 1911 R1 Carry – A snag-free version of the R1, designed for carrying in concealment. Whether at the range or in a competition, it is a gun that will provide the shooter with higher levels of performance. 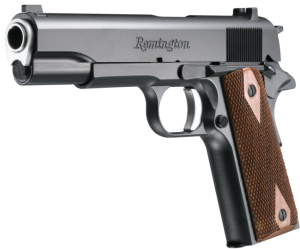 Remington R51 – One of the newer addition to Remington catalog, this is a sub-compact semi-automatic pistol chambered in 9X19mm Parabellum. Includes a 7-round magazine, and adjustable 3-dot iron sights. RM380 – Chambered in .380 Auto, and sporting a 6+1 round capacity, this pocket gun provides control, functionality, and accuracy. It features a steel slide and aluminum frame, and its all-metal build makes it that much more rugged and durable. Until the late 1960’s, serial numbers were not required of arms manufacturers. Most of Remington’s firearms have a date stamp on the barrel of the gun, indicating the year and month of production. This is true for firearms manufactured after 1921. Note that with shotguns, as opposed to rifles or handguns, there can be a more frequent changing of barrels. In other words, the barrel-stamp-dating technique will only work with a shotgun’s original barrel. You could always call up Remington and find out the information you need. There was a point at the turn of the 21st century, where Remington stopped stamping the barrels, and relied on stamping the shipping boxes instead. However, the barrel-stamping practice was quickly reinstated, after many phone calls were made to Big Green’s customer support team. In celebration of Remington’s bicentennial, anniversary editions of certain firearms have been made available to the public. The Limited Edition series includes the Model 700, Model 7600, Model 870, Model 1100, and Model 1911 RF1. Each of these is a laser-engraved classic, inlaid in 24-karat gold bearing the likeness of Eliphalet Remington with his first forged barrel. The Commemorative Edition includes the Model 870, Model 700, and Model 1911 R1. Each of these is emblazoned with Remington’s bicentennial bronze-colored medallion. So, what does the future look like for Remington Arms? Well, judging from its long history and timeline, it is a safe bet that Remington will keep on innovating, manufacturing, and basically setting the standard for the industry. Remington knows the soul of the American hunter and serviceman. 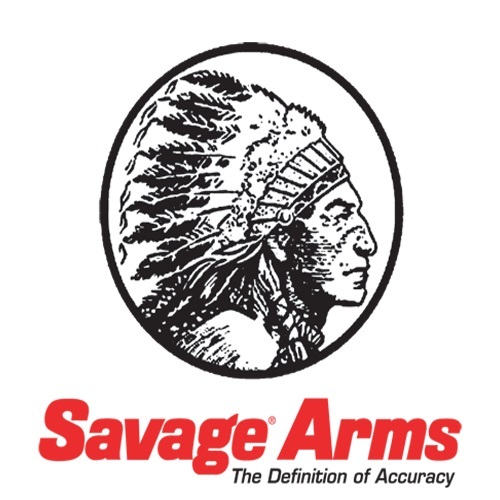 For 200 years now, it has been one of America’s favorite arms companies. Remington’s military and law enforcement divisions have helped America through World Wars, skirmishes, and conflicts all over the globe. Its civilian division is constantly reinventing itself, as the civilian firearms industry advances alongside the technology which is now available. It is an unstoppable company, which demonstrates exactly what one man can achieve. Interested in reading about more great gun brands like Benelli, FN, and Ruger? Check out our other company overviews here at Gunivore! Sam is an avid firearms enthusiast who loves sharing his knowledge and experience with fellow gunivores. Let us know what you think in the comments section! For suggestions, collaborations, or requests, contact sam@gunivore.com. © Copyright 2019 Gunivore. All Rights Reserved. The Schema by Rara Themes. Powered by WordPress .